Hare Krishna. 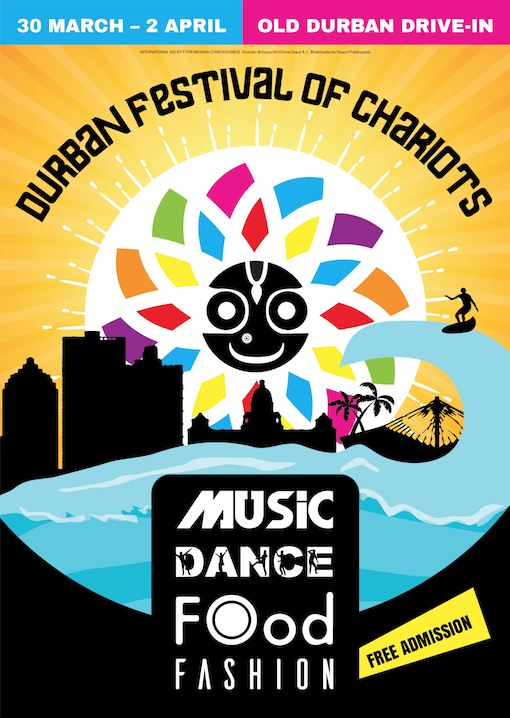 We would like to thank all who volunteered time before, during, and after the Durban Festival of Chariots. Our deepest gratitude to all our sponsors and patrons without whose help the festival would not be. 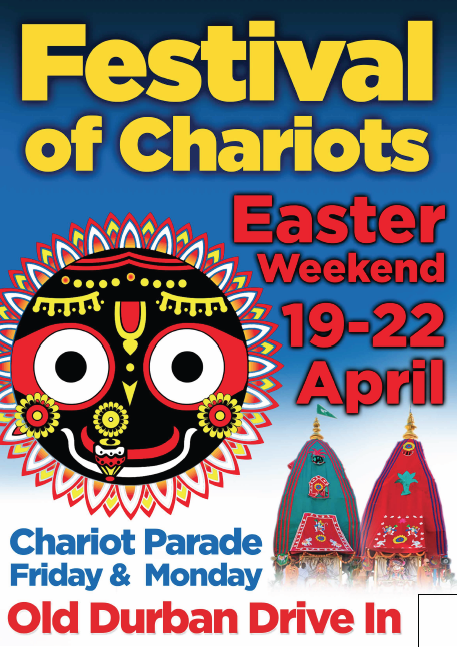 We still have some copies of the Durban Festival of Chariots Souvenir Book, which you can purchase at the temple. 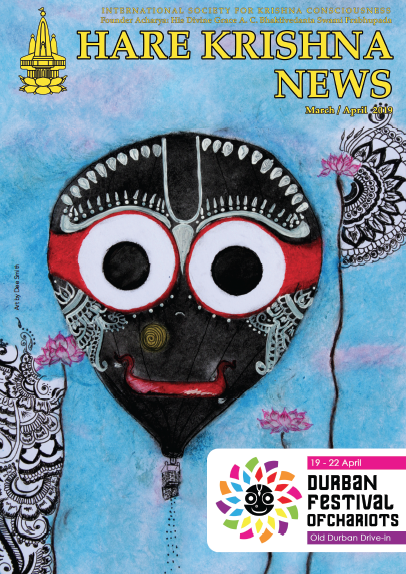 This book celebrates the twenty-five years of the festival. Kirtan Festival. Please see below for details. House programme with Bhakti Caitanya Swami at 4pm. 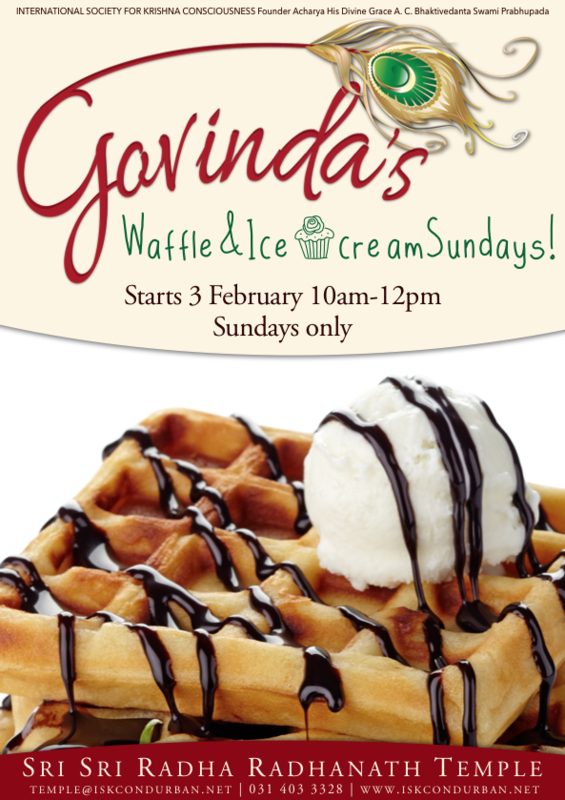 Call Bhakta Caran Das 0848190254 for details. Sri Sri Radha Radhanath Temple Evening Programme with Sri Radha Govinda Dasi talking about Astrology and Relationships at 7pm.